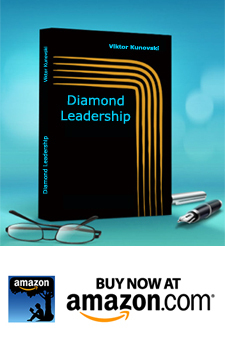 Home › Diamonding › FEAR – how to metabolize the first enemy of man? Last Thursday a global audience of over 85 000 leaders, change agents, entrepreneurs and educators, begun the 3rd #Ulab Journey (MOOC – massive open online course), led by the MIT’s Otto Scharmer and his dedicated team. On the first place FEAR, second – lack of TIME, and third – lack of MONEY. …”When a man starts to learn, he is never clear about his objectives. His purpose is faulty; his intent is vague. He hopes for rewards that will never materialize, for he knows nothing of the hardships of learning. “He slowly begins to learn – bit by bit at first, then in big chunks. And his thoughts soon clash. What he learns is never what he pictured, or imagined, and so he begins to be afraid. Learning is never what one expects. Every step of learning is a new task, and the fear the man is experiencing begins to mount mercilessly, unyieldingly. His purpose becomes a battlefield. “And thus he has tumbled upon the first of his natural enemies: Fear! In the context of the “U” journeys or any learning and/or transformative process, fear will come and go very often, since this is a natural process and an unavoidable dynamic. Fear will appear when we are facing the unknown, fear of not having enough, not being good enough, not being loved. We will feel the fear even when we face our own power, strength and greatness, fear of being too much, fear of being hurt or hurting someone etc. The good thing about fear is that it indicates to us that something is not right, not safe or healthy. But fear often paralyses our forward movements, we retreat, we procrastinate, we give up etc. The problem with fear is that people often do not feel it fully, or they feel it just a bit, they ignore it or mask it with nervous smile or some distracting activity. They don’t allow it. They also do not feel the fear by staying present with it. So, how do we deal with fear when it comes during a learning or transformational journey (during life)? Well, the best way in my experience is quite simple (this is easy said than done), and it requires a continuous practice of feeling the fear by staying present with it in the NOW. We simply need to learn to “feel the fear fully”. Feel it with presence, full awareness and allow it to be there. By the way this practice of being present and feeling the fear is the same for all other feelings – pain, anger, envy, hate, love, happiness, and it does not matter weather the emotion is positive or negative. By doing this we are actually feeling and allowing the “NOW”, the truth of the present moment within us. …”He must not run away. He must defy his fear, and in spite of it he must take the next step in learning, and the next, and the next. He must be fully afraid, and yet he must not stop. That is the rule! We also need to learn (as society and culture) not to ignore or reject the feelings of fear. Managers leaders, change agents, must learn to feel the fear fully, sense it in their bodies and allow it to be in the field (the meeting room, the team…) as a natural part of a learning process –. They also need to learn not to take premature actions in the face of fear (this only mask their own insecurities of not knowing what next). If they are uncomfortable to “sit” with the fear, they are minimizing the chances for facilitating new learning, innovation or breakthrough. So to summarize: the key to any successful learning or transformation journey, weather it is an one hour long 1 on 1 coaching session, a 120 minutes creative meeting, or a 3 years culture transformation process, is the continuous practice that builds our ability to “stay present with FEAR or any other feeling or sensation that we are experiencing NOW-HERE”. This is how fear (or any other feeling) metabolizes and transforms. It is perhaps more precisely to describe this process as an unfolding of the now, rather than as the emerging of the future. Diamond Heart Book II, by A.H. Almaas.